Portabello PSP? Must be a new model! Its my store - stop laughing!! There is not even a PSP in this picture. NO, I WANT A STATIONARY PSP! 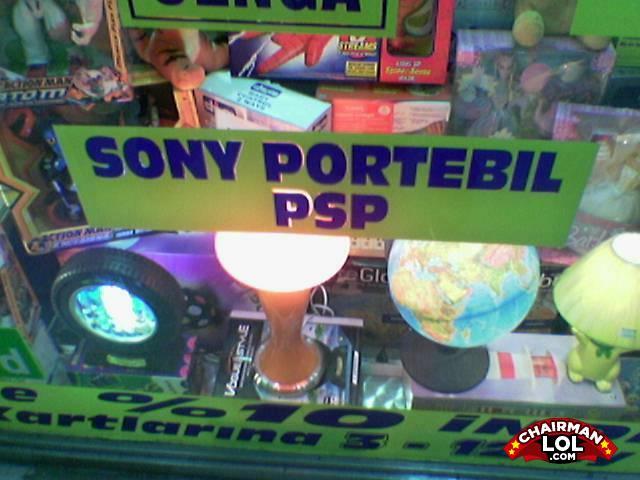 PSP = PlayStation Portable SO this sign is advertising a Portable PlayStation Portable.